All contributions to the Distinguished Daughters of Pennsylvania are tax deductible. Harrisburg, PA – Governor Tom Wolf and First Lady Frances Wolf today honored six outstanding women as this year’s Distinguished Daughters of Pennsylvania. The women were recognized with medals for their achievements at an event at the Governor’s Residence in Harrisburg. The 2018 Distinguished Daughters of Pennsylvania include Edith Bell (Pittsburgh), Mary Lou McLaughlin (Pittsburgh), Siobhan A. Reardon (Philadelphia), Dr. Carol Shields (Bryn Mawr), Judith M. von Seldeneck (Philadelphia), and Judy Wicks (Philadelphia). Marilyn Ware, a congressman’s daughter who led national businesses, served as ambassador to Finland and championed causes ranging from the election of Republicans to the preservation of Lancaster County farmland, died Thursday in Denver, Colorado, where she was under a doctor’s care, family said. She was 74. Harrisburg, PA – Governor Tom Wolf and First Lady Frances Wolf today recognized eight outstanding women from across the state as this year’s Distinguished Daughters of Pennsylvania. 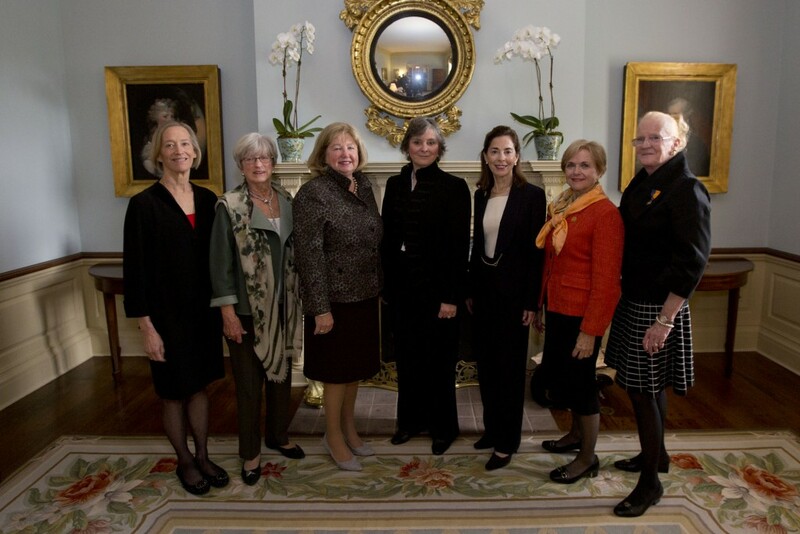 The women were honored with medals for their achievements at the Governor’s Residence in Harrisburg. The 2017 Distinguished Daughters of Pennsylvania include Dr. Jeanne Donlevy Arnold (Lebanon), Laurada Byers (Philadelphia), Mary Colvert Carroll (Naalehu, HI), Diane P. Holder (Pittsburgh), Susan Kemenyffy (McKean), Beverly Lange (Ardmore), Andrea Mitchell (Washington, D.C), and Cynthia Shapira (Pittsburgh). Distinguished Daughters of Pennsylvania began in 1948 to honor women who have shown distinguished service through professional careers and/or voluntary service. The women are nominated to receive the honor by non-profit organizations within Pennsylvania. They do not need to be natives of Pennsylvania, but must have lived in the commonwealth at some point. Distinguished Daughters of Pennsylvania are grateful for the support of the Pennsylvania Breast Cancer Coalition for their video interview with each of the 2016 Daughters. This inspirational video captures the unique qualities of the extraordinary women honored each year by the Governor of Pennsylvania.